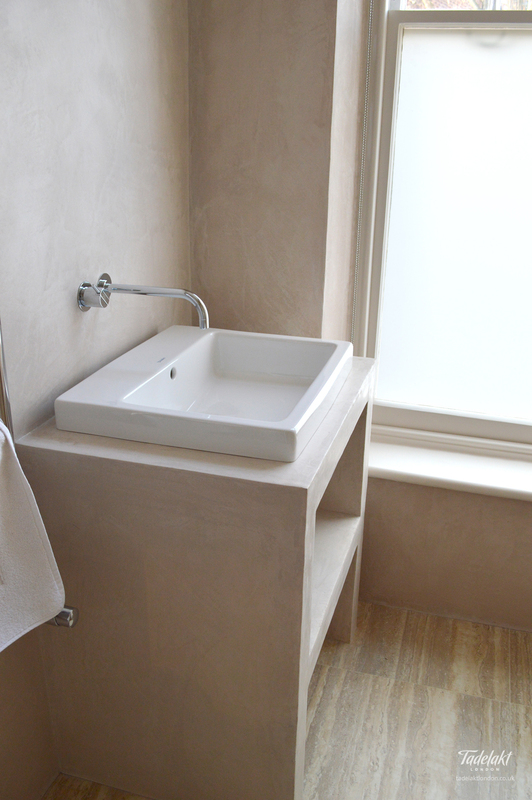 A brightly lit shower room achieves high-end appeal along with a nod to the past with its warm beige Tadelakt surfacing. 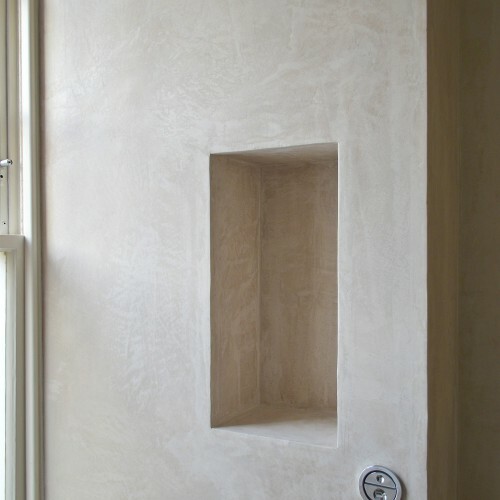 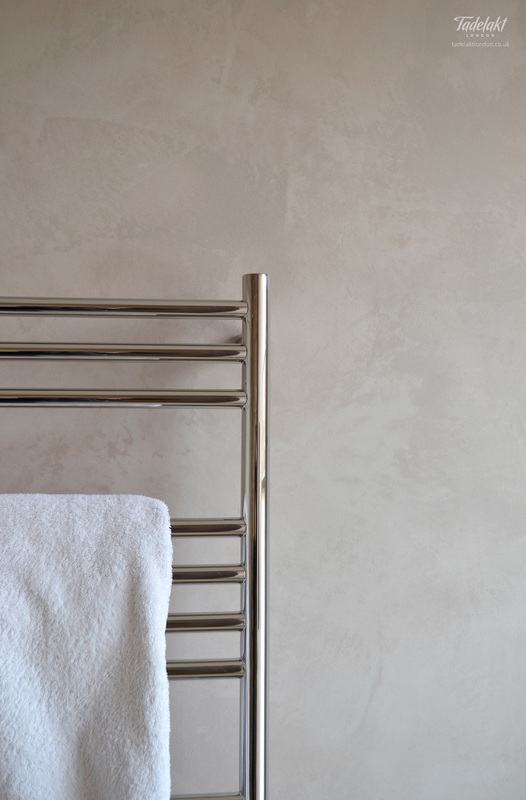 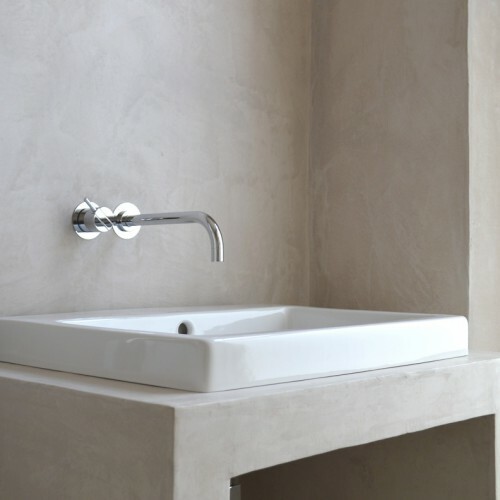 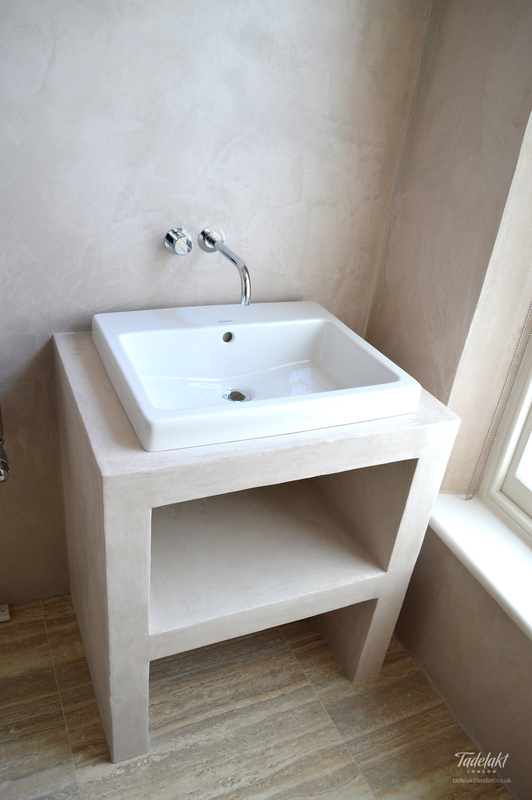 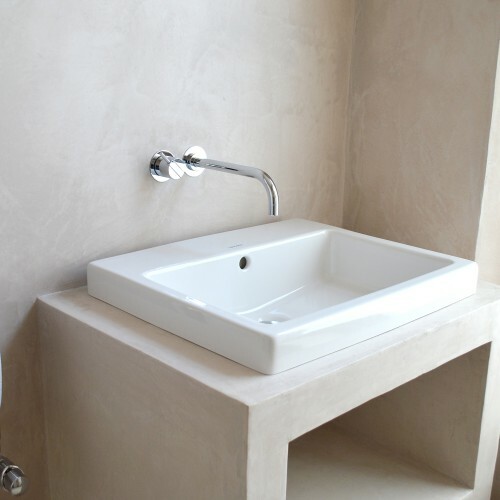 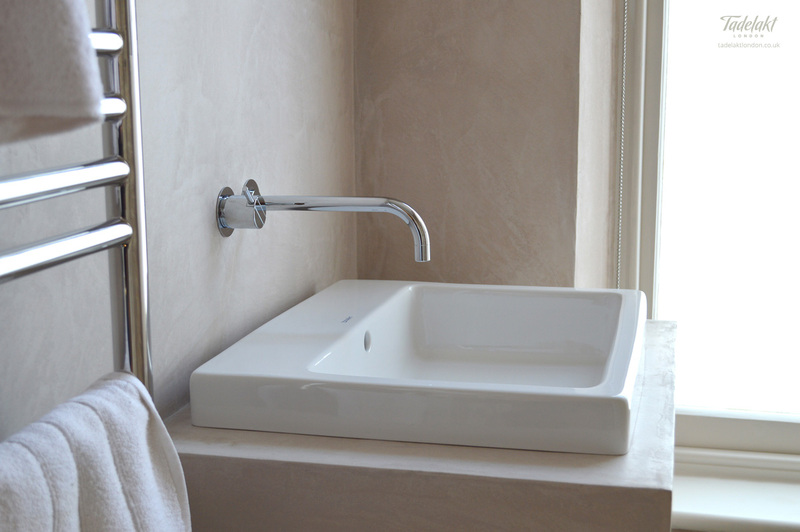 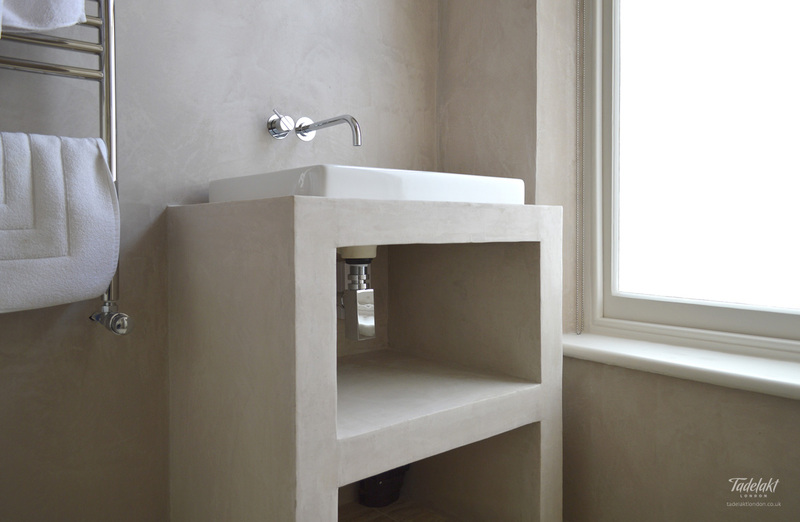 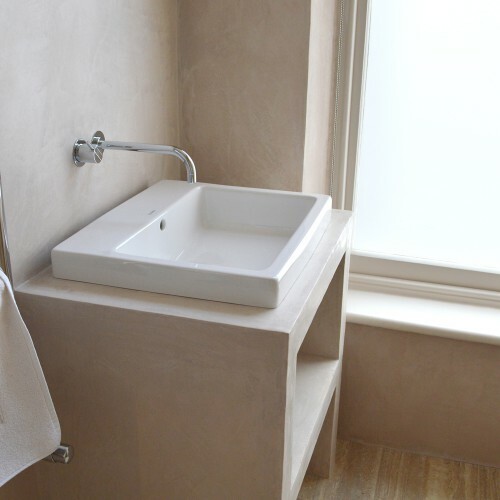 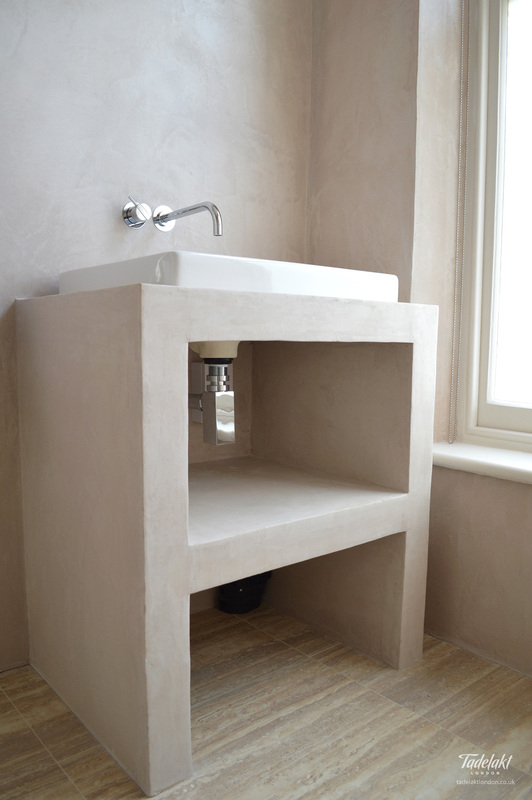 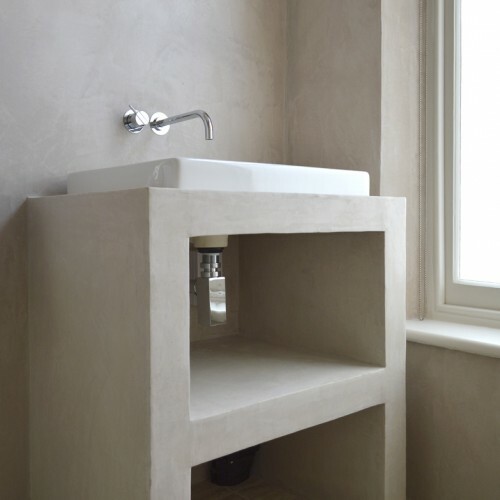 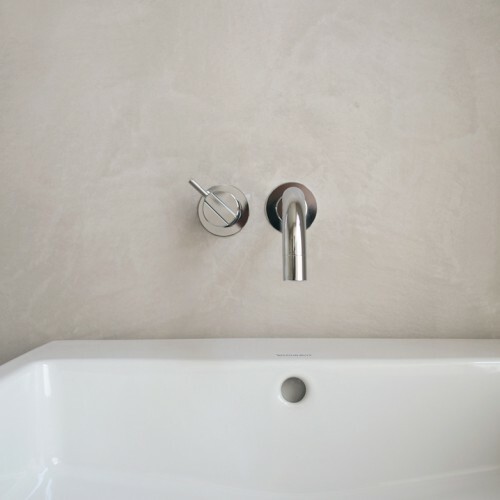 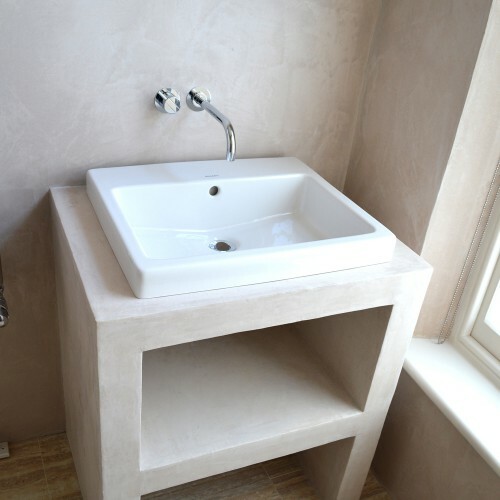 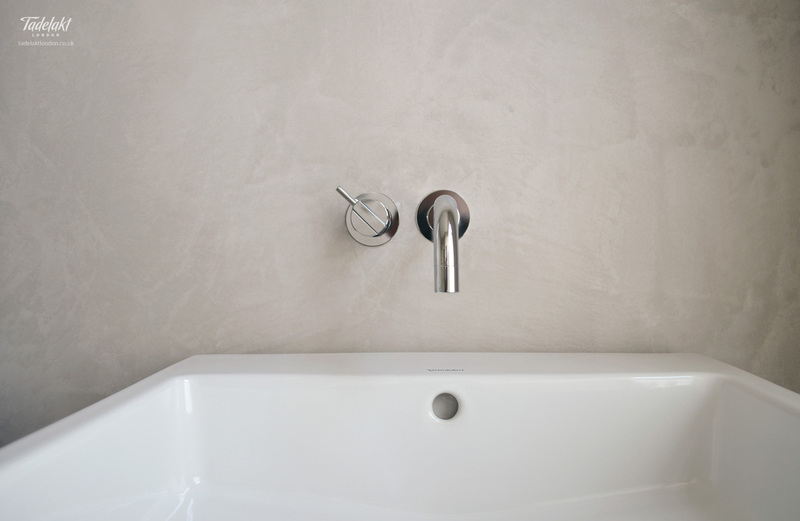 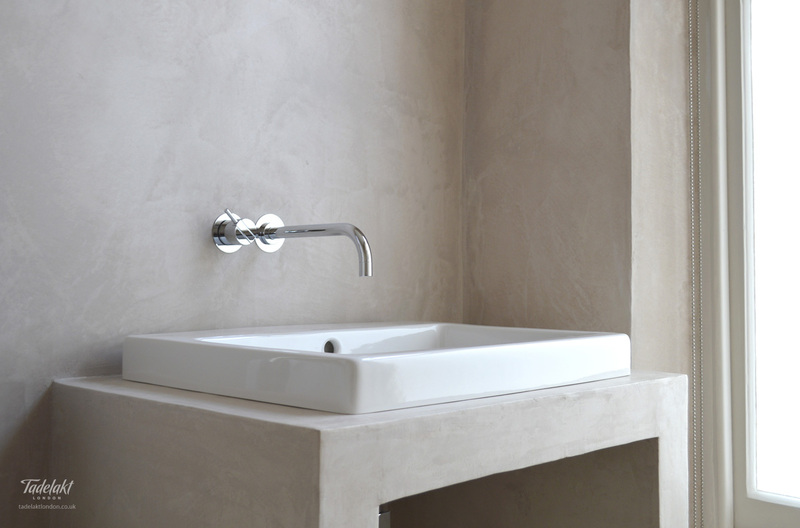 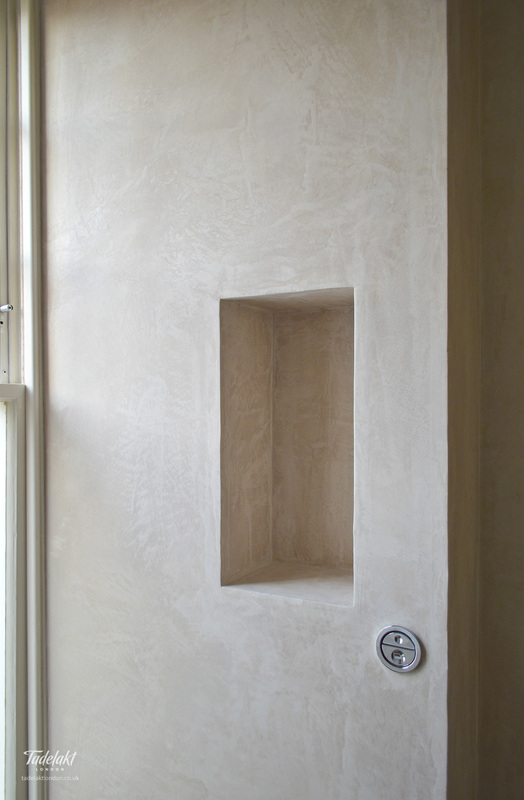 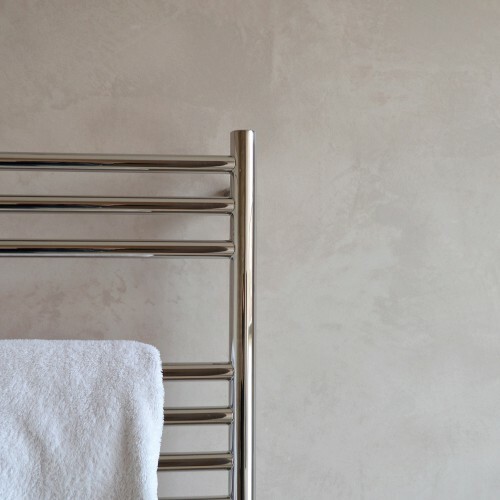 The custom built washstand features a stunning waterproof plaster finish. 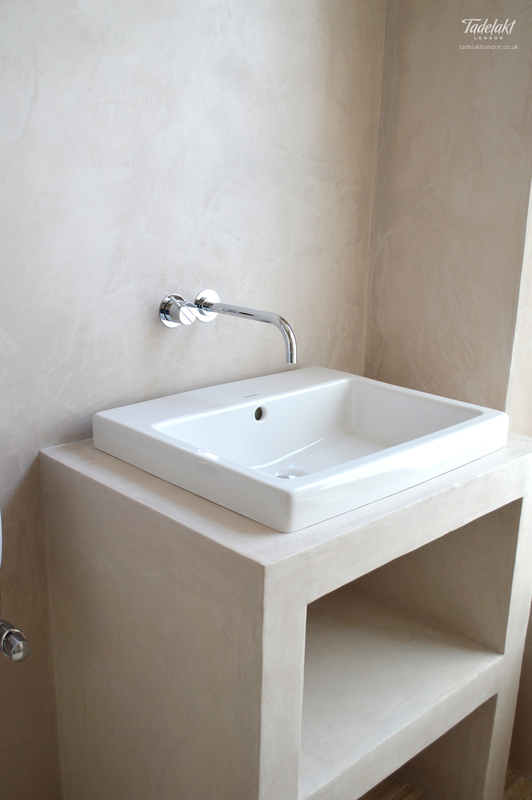 The environmentally friendly nature of Tadelakt makes it the perfect choice for building a green home.